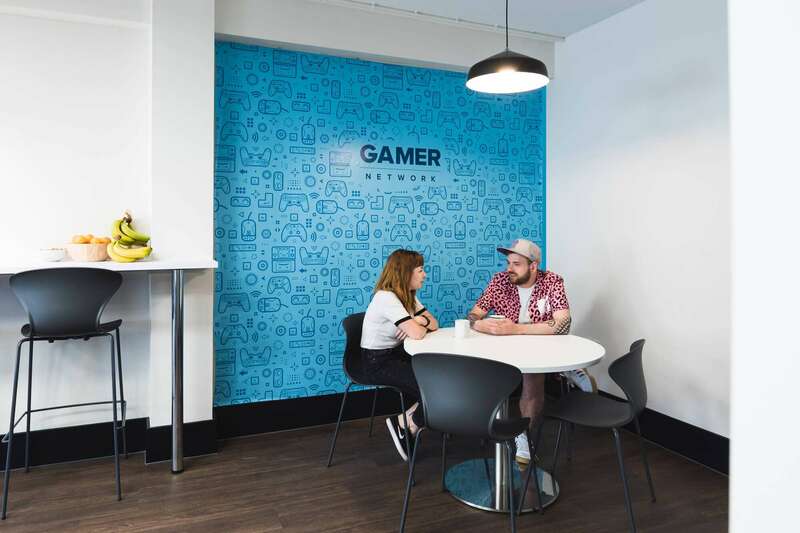 Gamer Network appointed Office Profile to provide a CAT A and CAT B fit-out for all 3 floors of their office in Brighton, which consisted of various areas including a large breakout space, meeting rooms, offices, open plan office space and washrooms. 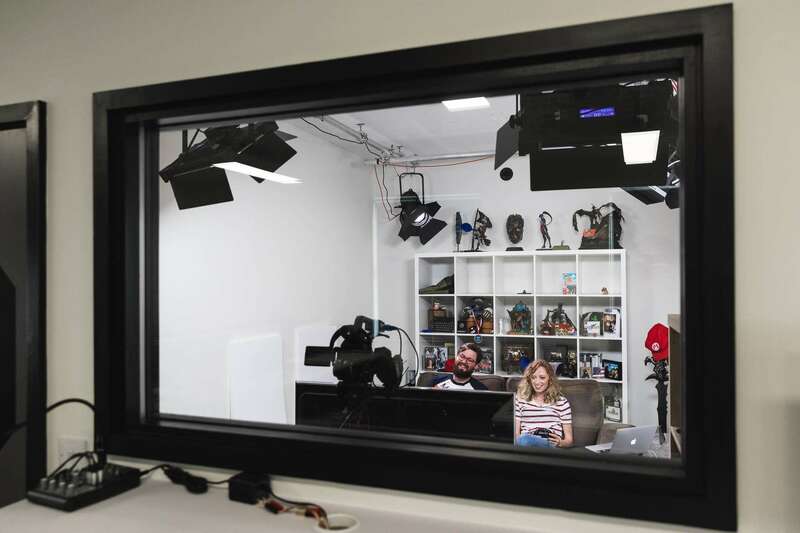 Gamer Network is one of the world’s leading gaming media businesses with offices located around the world. 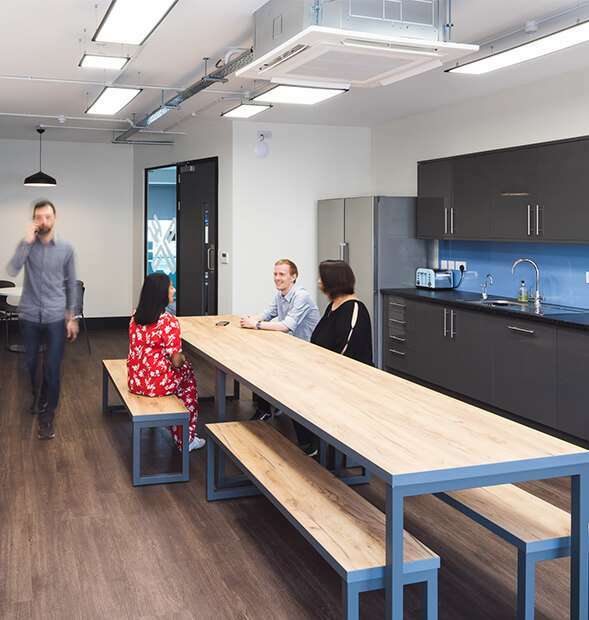 The client needed more space due to their ever-expanding team, so they secured 2 extra floors in the building they were currently occupying and approached Office Profile to complete the CAT A and CAT B fit-out for the 3 floors and lobby area of the building. 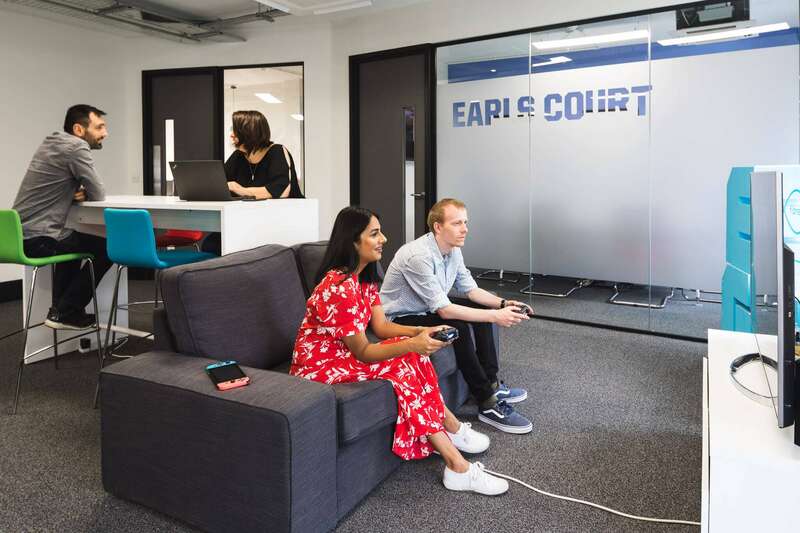 One of the new floors was left in a bad state from the previous occupier and had water leaking through the ceiling causing substantial damage to the walls and flooring. 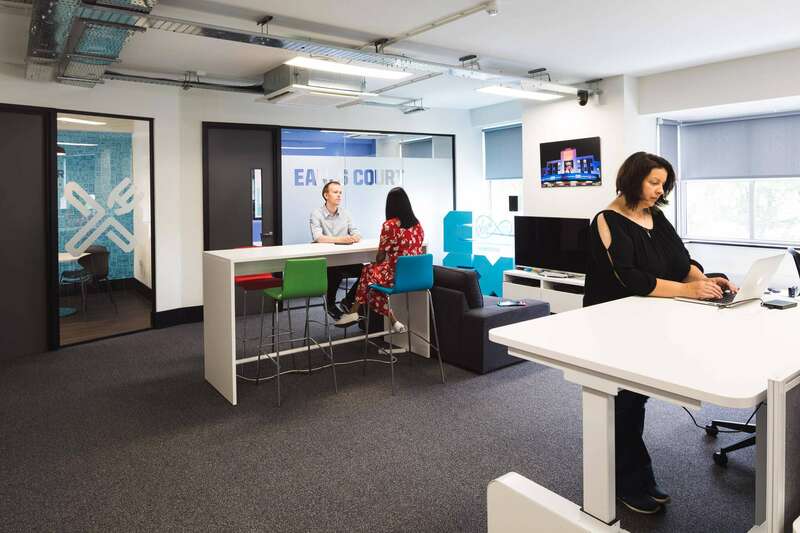 There were various areas we were asked to refurbish including a large breakout room, washrooms, meeting rooms, offices, open plan office space, the lobby, collaboration areas and teapoints. 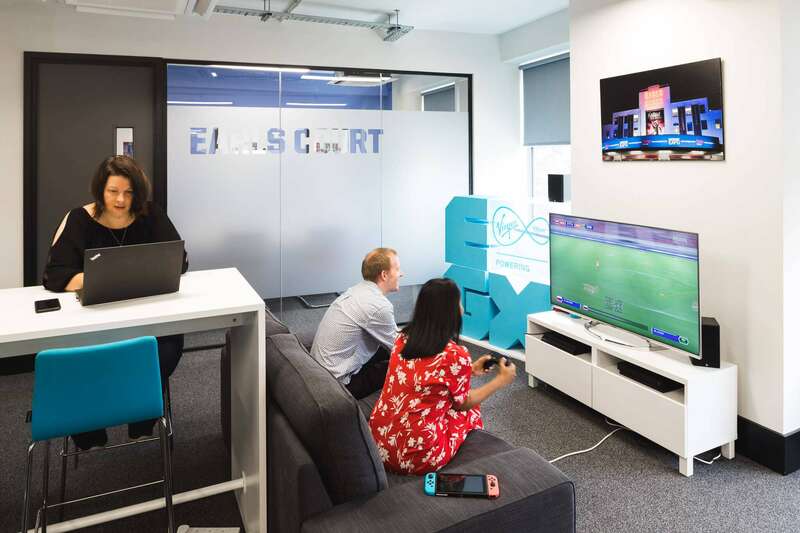 Office Profile worked closely with Gamer Network from the initial stages of them looking for additional space, through to them deciding to stay in the same building, assisting them through the planning and tender process, up until final completion. 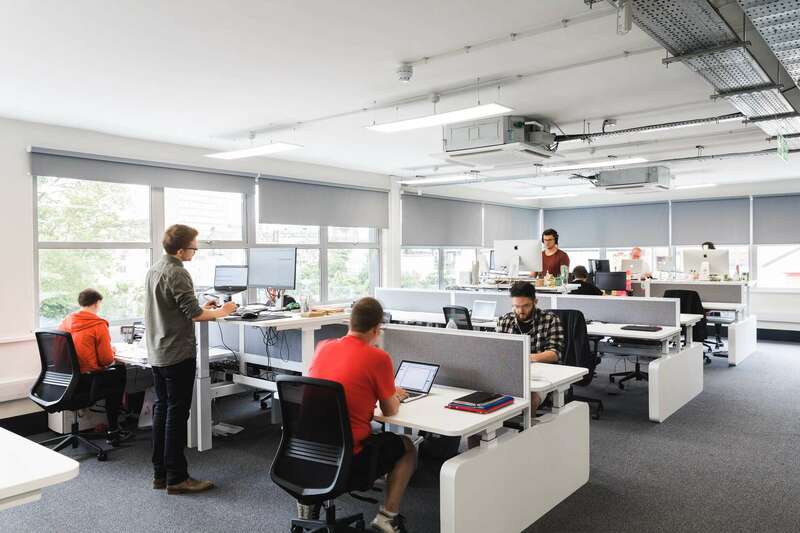 We began the phased fit-out works by stripping out floors 1 and 2 then installing new mechanical and electrical services along with full decoration and new floor finishes. 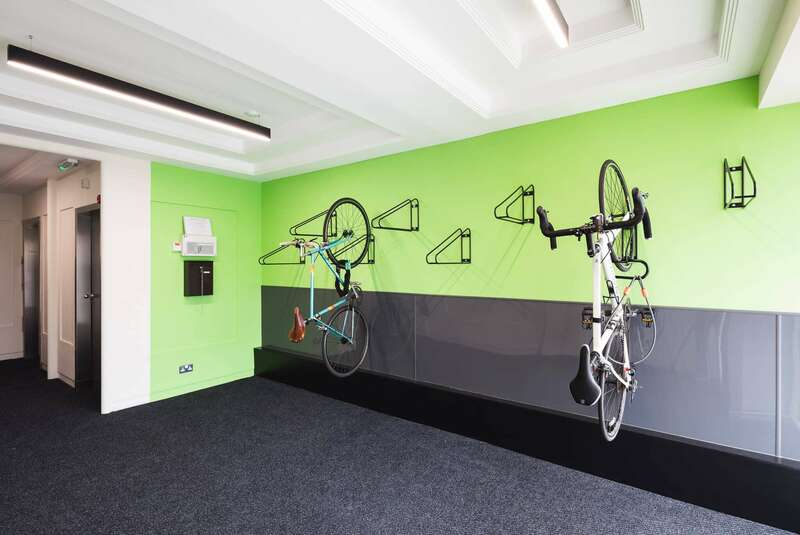 Once the client had moved out of the 3rd floor and on to the 2nd floor we were able to carry out the final phase. 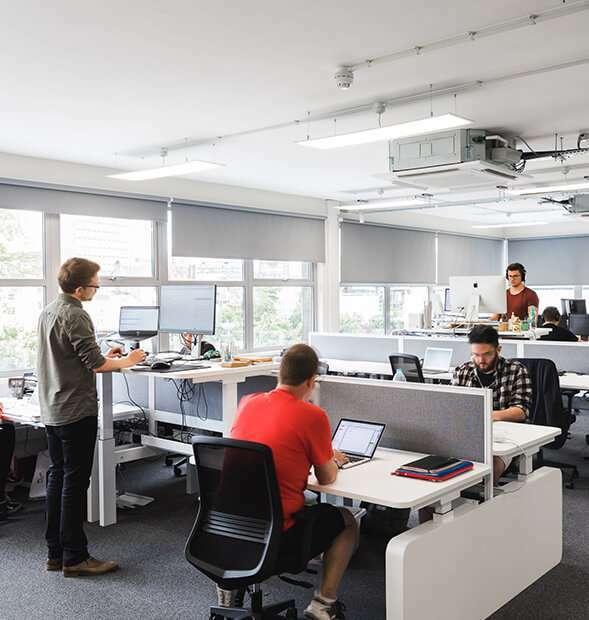 Full refurbishment of the 3rd floor, in line with the 2nd floor design, and works to the common areas (lobby and stair core). We replaced all the existing windows with new double-glazed windows and re-designed the entrance screen. 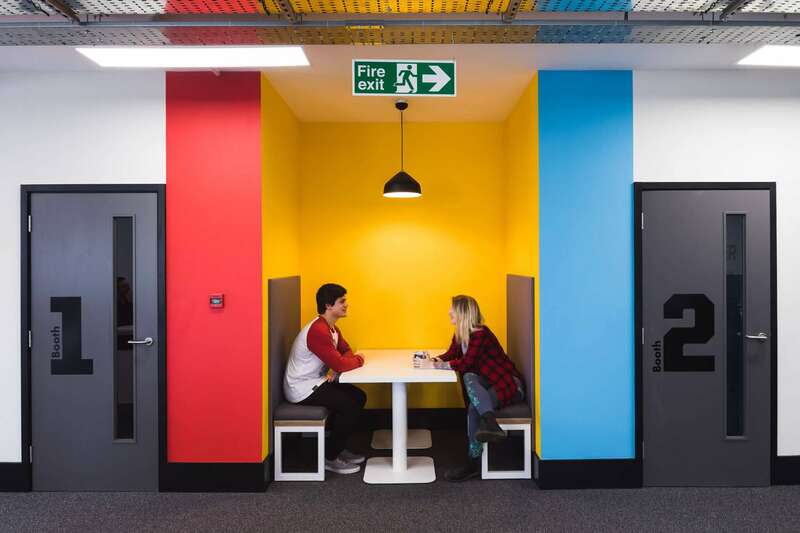 Full-height glass partitions with manifestation were erected to form meeting rooms and offices and each room painted in a vivid colour. 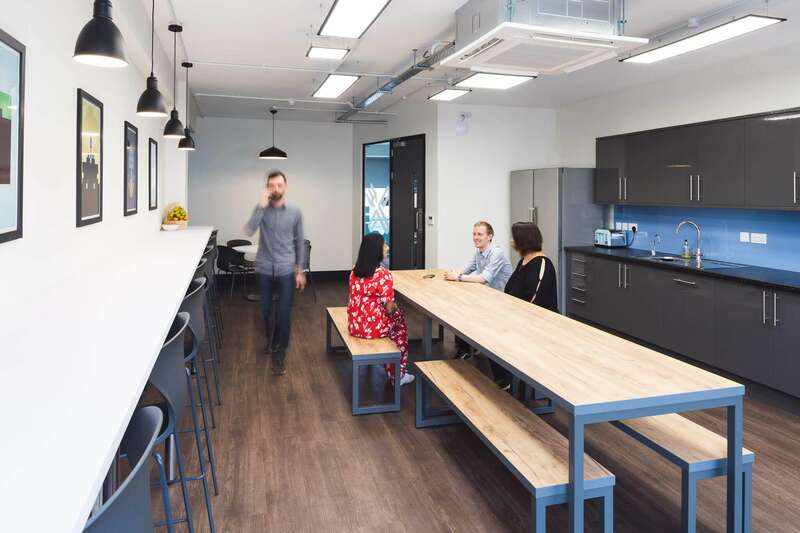 For the main breakout space, we supplied Feast Metal tables with benches, and fitted units in a grey gloss finish in the teapoint areas and kitchen. 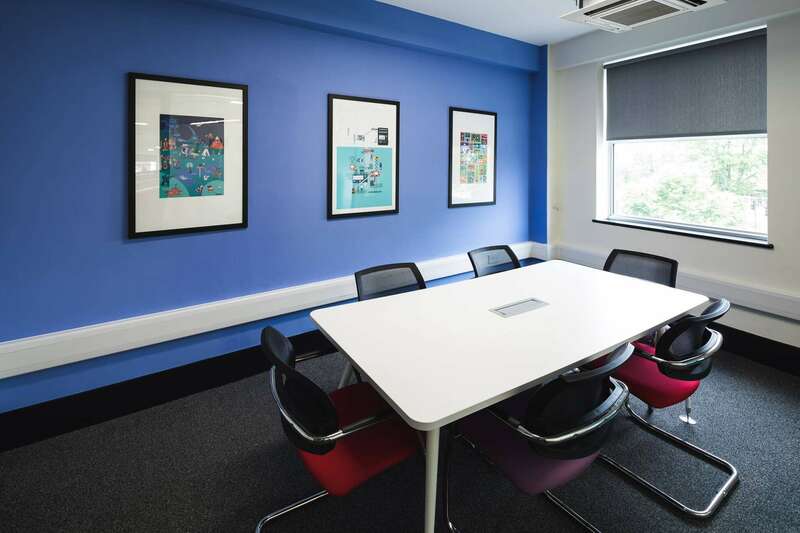 In the open plan office space, the client’s colourful array of corporate colours were used on the walls and staff use sit/stand desking with operator chairs. 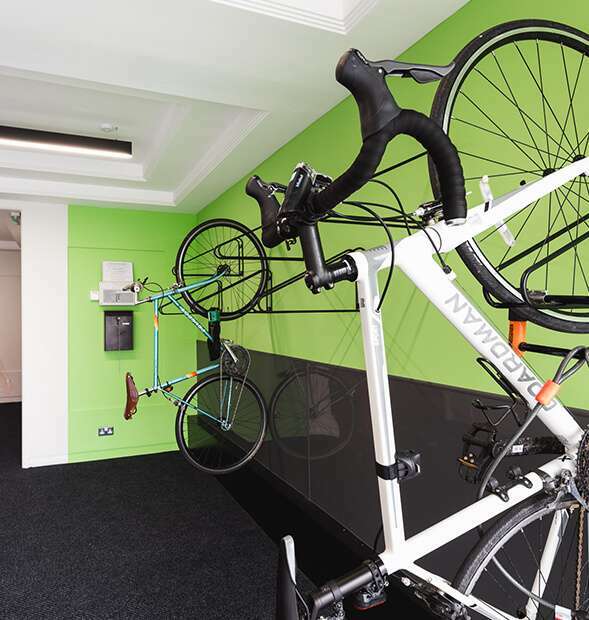 In the lobby area, we added functionality by mounting bicycle racks along one wall as many of the staff cycle to the office. 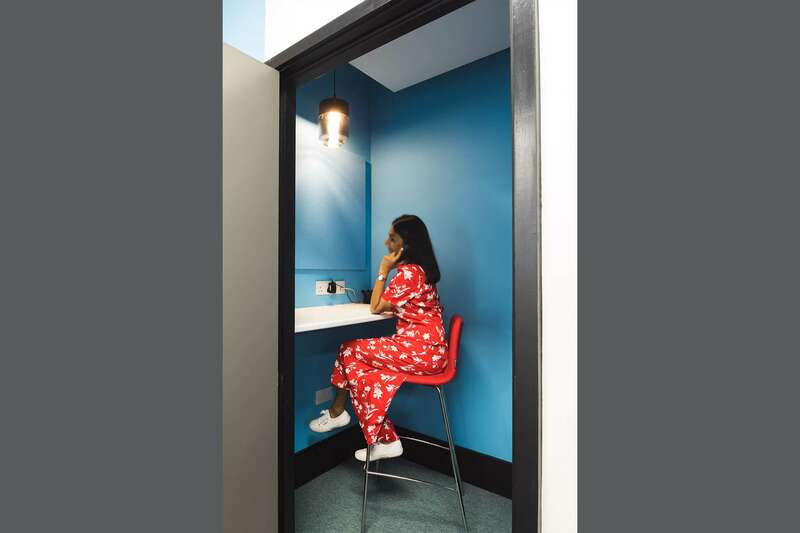 We fully refurbished each of the washrooms with all new fixtures and fittings, as well as incorporating the client’s bold colour scheme along the walls. 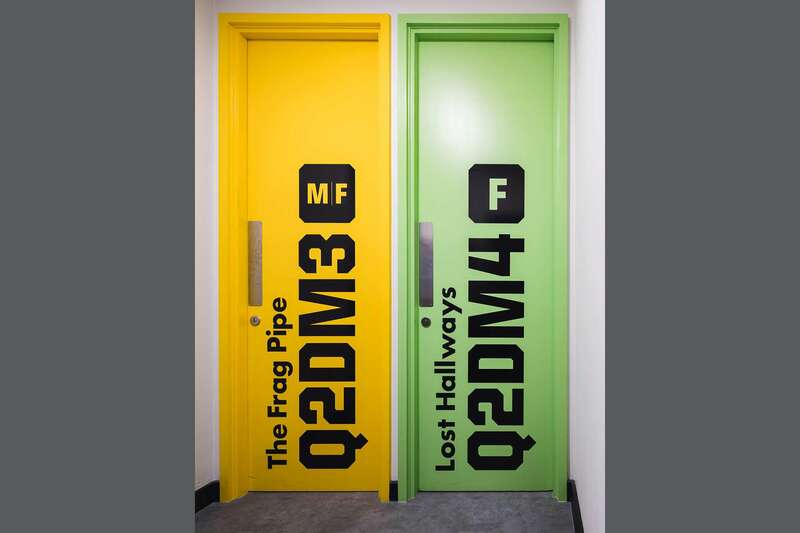 The cubicle doors each displayed a name of a map from the popular video game ‘Quake 2’.